girl had an extra bumhole above her normal bumhole. I skate to get good links for pics of emo, goth and punk chicks on the internet. I mean the Half Cabs. Edit - quoting snailskate NOT myself. Skating some Nike SB Classics at the moment and they are absolutely lush. Always wanted a pair of Blazers as they look amazing, should get some soon. skating those white gazzelle vulcs at moment, well nice. Agreed on the keeping them plain rossi. The good thing is I can have a pair for going out in as they look all fresh and simple, then when my skate pairs fucked use the ones I used for best. Ha, great minds think alike. i love trainers! im one of those people that remembers the person for what shoes they are wearing haha! 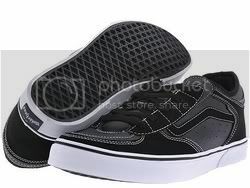 the new DVS Rico Cts are sick if your looking for a good slim shoe ! haha i just read back what i posted... what a weirdo! Where can i find a pair of these? In joint third belongs the Emerica Ellington, the OG Es Accel (not the terrible remake) and thirdly it's gotta be Leo's. Worst by far must be the Half Cabs I once won, stoked on getting them free and all but my feet were totally allergic to them. Like skateboarding in walking boots they were. Perhaps they were wrong un's, who knows. Really? Where can't you find a pair of these?